This poor little girl is Biddy. She is about 11 or 12 years old and was found on Halloween night and taken in for the night by her finder. As is required by law she went to the warden to do her statutory time. However when the warden saw the condition she was in he had her taken immediately to the vets for assessment and care. She had two large lipomas removed, as well as some teeth. Her eyes are ulcerated and are also being treated, the vets say that she has some vision. Her coat was so severely matted that she had to be completely clipped back. She had previously been spayed so someone cared for her at some stage. After receiving all of her veterinary care, thanks to Kildare Dog Warden service, the warden requested that she come into our care. She is a sweet little dog who just wants a warm bed and somewhere that she can go safely for a little potter. She is very clean indoors as she appears to be fully house trained. 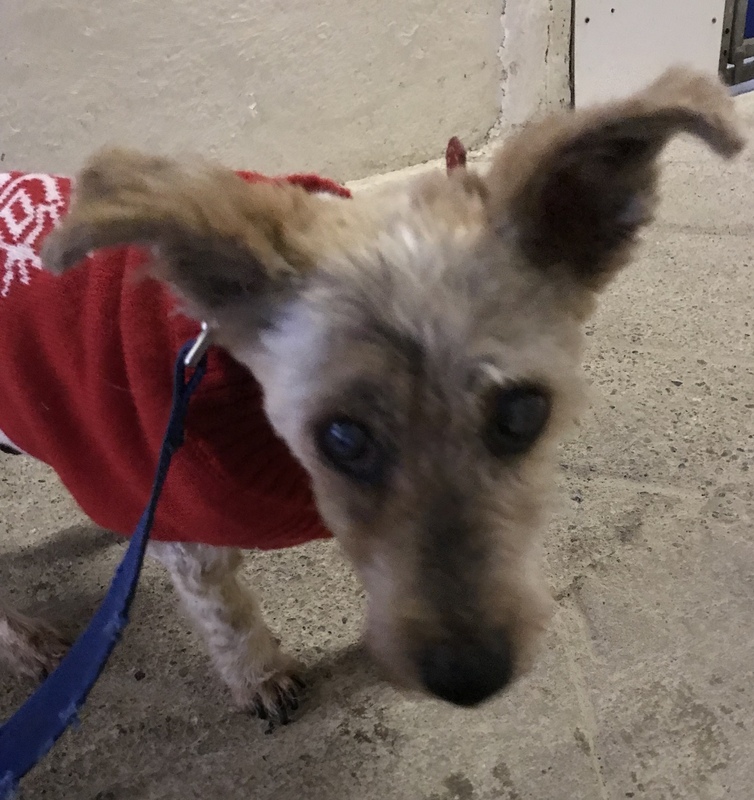 We are looking for a nice comfortable retirement home for little Biddy, she won’t require much in the line of exercise, just somewhere secure where she can mooch about for a few minutes having a little sniff and doing her business. She MUST be an indoor dog. Can you offer Biddy her forever sofa where she can live out the rest of her days in comfort? If you think you can help Biddy please email kwwspca@gmail.com or contact 0871279835. Biddy is currently living in the comfort of a foster home. She is about the size of a Jack Russell .